Dr Gerd Heuschmann, (www.gerdheuschmann.com) a veterinarian and well known dressage rider/trainer, author of the book “Tug of War” and the DVD “If Horses Could Speak” is coming to St Augustine for a book signing, lecture and two day riding clinic, October 29 through November 1st, 2009. No charge for being a guest at the book signing, lecture is $50, riding (which includes Dr Heuschmann riding your horse) is $250, and auditing both days and lecture $125. If you wish to audit only the cost will be $80 for both days, $45 for one day. Dr. Heuschmann was trained as a Bereiter (master rider) in Germany before qualifying for veterinary study at Munich University. There he specialized in equine orthopedics for two years before accepting a post as the head of the breeding department at the German Equestrian Federation. Dr. Heuschmann is a founding member of “Xenophon”, an organization dedicated to “fighting hard against serious mistakes in equestrian sports”. He is the author of the “Tug of War” and the DVD “If Horses Could Speak” which is the basis for his world-wide lectures. 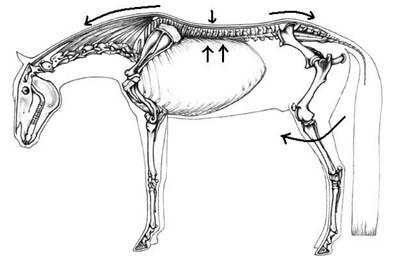 By describing the basic anatomy and physiology of the horse, Dr. Heuschmann identifies widely-used incorrect training methods- especially in dressage- that can undermine a horse’s health and well being and offers the rider solutions that do not cause pain or fail to respect the mental habits and physiological needs of the horse. His dynamic teaching on the biomechanics of correct riding and proper training result in the horse’s improved mental and physical condition.